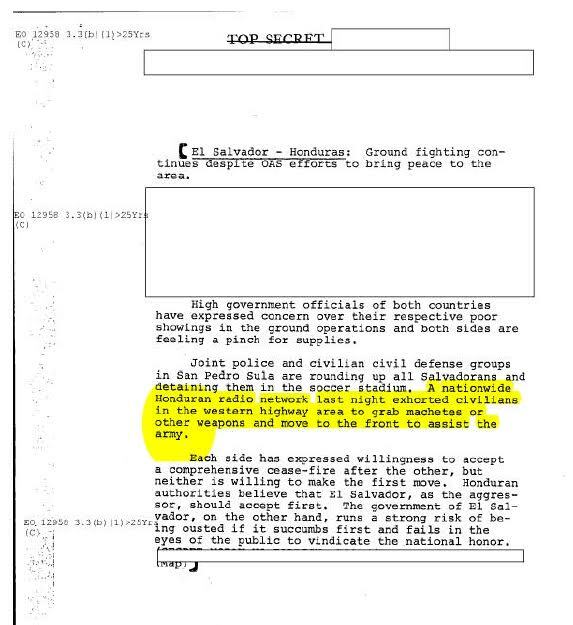 On July 15, 1969, Honduran radio networks, using the country’s recent World Cup qualifier loss to El Salvador as pretext for violence, encouraged listeners “to grab machetes or other weapons and move to the front to assist the army” in its 4-day war against their Salvadoran neighbors. The Archive’s Nate Jones recently joined the Wilson Center’s Sports in the Cold War podcast to discuss how the contentious match combined with political tensions over immigration and an ill-defined border to spark the so-called “The Football War” – and how declassified Central Intelligence Bulletins and President’s Daily Briefs obtained through the Freedom of Information Act provide a vivid day-by-day account of the incident. Listen here. Jones is the author of the new book Able Archer 83: The Secret History of the NATO Exercise that Almost Triggered Nuclear War and will be giving a special presentation on his research at the Wilson Center on October 20 at 3PM, with commentary by Archive director Tom Blanton. 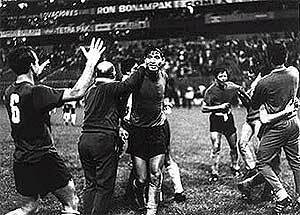 El Salvador defeats Honduras in Mexico City, 1969.